The joke, it turns out, is on Trump. Now he is the president – and it appears that he is on track to spend many more millions of taxpayer dollars on trips that might be construed as vacations for him and his family than Obama ever dreamed of. The arc of the moral universe is long, but it bends toward. Jack Pitney, a professor of politics at Claremont McKenna college in California, said it appeared that Trump Tower was turning out to be a particularly burdensome expense, compared with costs tied to George W Bush’s Texas ranch or Obama family vacations to Martha’s Vineyard, off the coast of Massachusetts. The costs associated with travel by presidents and family members are sketchy because the key agencies involved – the defense department, which manages the president’s air fleet, and the Department of Homeland Security, which provides for secret service protection – don’t readily release line-item budgets for presidential travel. Certain presumably expensive arrangements are classified. 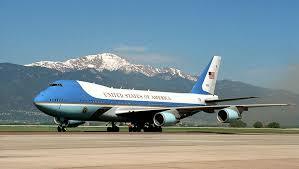 Each trip is different, as each president travels differently, making comparison difficult. Judging the cost of Trump’s trips to Mar-a-Lago as president so far – he is there for a fourth time this weekend – relies, however, on a comparison to a trip Obama made to the Sunshine state in 2013. The four-day trip, during which Obama found time to golf with Tiger Woods, drew controversy after a Republican senator demanded that the government accountability office calculate how much it had cost taxpayers. The result: more than $3.6m. If each of Trump’s Mar-a-Lago trips costs that much, taxpayers are on the hook so far for more than $14m to send the president to Florida. Asked whether Trump was outstripping Obama in terms of sticking taxpayers, Tom Fitton, president of Judicial Watch, questioned the accounting of Trump’s Florida trips, which he said were likely less expensive than Obama’s 2013 trip because Trump does not rely for in-state travel on Marine One, the presidential helicopter, as Obama had. Fitton also said that according to the best available information, Air Force One, the president’s jet, currently costs $142,000 an hour to operate – as much as 25% less than it cost to operate during the Obama years. “The per-trip cost is a little bit less since the cost-per-hour of Air Force One are less,” Fitton said, comparing Trump and Obama. “Now, if [Trump] travels more – it will depend in the long run on the number of trips he takes, and for what purposes. And to his credit, it’s readily apparent – and he’s criticized for it – when he’s in Mar-a-Lago, he’s doing business.